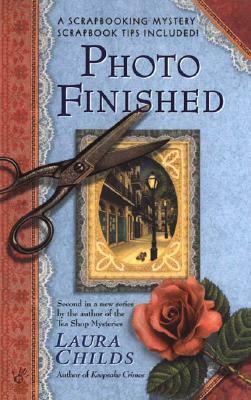 The second Scrapbooking Mystery from the New York Times bestselling author of the popular Tea Shop Mysteries. Carmela Bertrand is hosting a late-night “Crop Till You Drop” session at her quaint French Quarter scrapbooking shop, Memory Mine. All the usual suspects have turned up to trim, decorate, color, and gossip.